Alex is a research analyst in Vera's Center on Sentencing and Corrections. She performs quantitative analysis for a variety of projects in CSC. 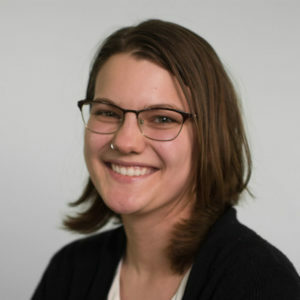 Before joining Vera, Alex worked as a research assistant at the Center for Court Innovation, where she worked on a project examining impressions of procedural justice in the Manhattan criminal court. She earned her BA in physics and mathematics from Macalester College in Saint Paul, MN.